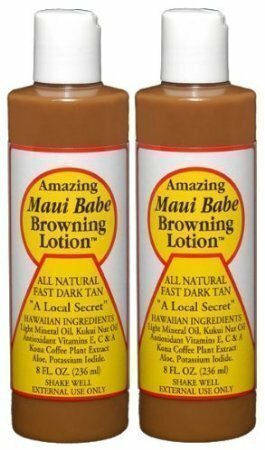 This tanning lotion is golden glow in a bottle! 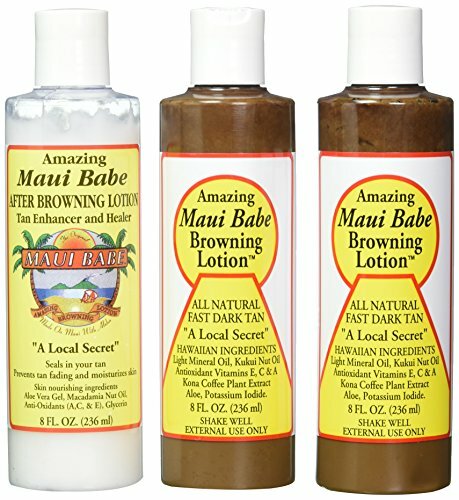 For a fast and evenly applied tan, make sure to add Maui Babe's Browning Lotion to your suncare routine. Ultra-moisturizing and water-resistant, this skin-loving product will definitely be among your favorites for the beach and pool season. Ingredients: Light Mineral Oil, Kukui Nut Oil, Antioxidant Vitamins E, C & A, Kona Coffee Plant Extract, Aloe, Potassium Iodide. Made in Maui, Hawaii.